All devices are characterised by HD quality and highly professional video functions. 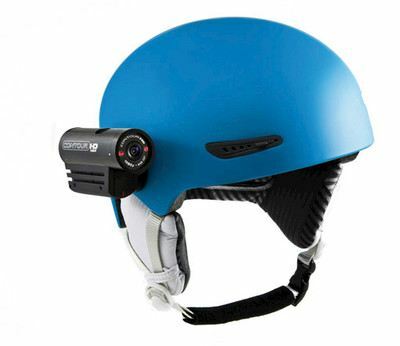 The market leader up to now has certainly been the GoPro Hero 3 for which ProDRENALIN, among others, was designed. First class image quality even under extreme conditions and an almost vibration-free playback characterise this device. The image playback becomes a problem when vibrations and shocks interfere with the recording, as is unfortunately the case in many types of sports. Then the videos appear blurry on the computer later. Only image post-stabilisation by ProDRENALIN can help here. It brings the best out of your sport recordings. There is only very little difference among the action cams by GoPro, Contour, Sony or Rolley on this point. They all suffer from a perspective distortion from the fish-eye lens and heavy shaking when recording sports. ProDRENALIN offers you great editing features here that are applicable to almost all types of cameras. Only the correction of the distortion is limited due to the camera profiles integrated into the software on the device: These include GoPro Hero 1-3, Contour HD 1300, CamOne, Sony HDR AS 10 and 15 and Rollei Bullet. However, many action cam models have lenses with very similar focal lengths. This means that ProDRENALIN also works perfectly with these devices. If you take your action shots with your mobile phone's camera: ProDRENALIN is compatible with the Samsung Galaxy S3 and Panasonic Lumix DMC T27.